The powerful clip-on mic package. Easy to operate, reliable while transmitting – G4 does the job. 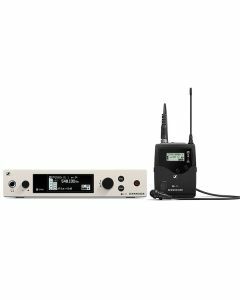 The 300 series lavalier mic set ensures hands-free operation even during the longest congress or lecture. Remote mute switch available for the bodypack transmitter.